Fight against Super Saiyan God SS Vegeta who has ascended to a whole new level!! Stage 1 "The Epic Battle Begins!!" 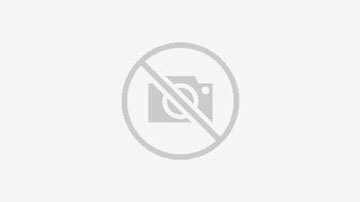 is only available on Z-HARD and SUPER. There are 2 difficulty in this event . Activating the Link Skill "Connolsseur", you can nullify Vegeta's damage reduction and greatly raise the damage dealt on him! Stage 1 "The Epic Battle Begins!!" on player will face 3boss. Stage 1 "The Epic Battle Begins!!" on player will face 4boss. Fight Against Super SaiYan Trunks (FUTURE)! Stage 1 "A New Hope: is only available on Z-HARD and SUPER. Activate the lLink Skill "Dismal Future" to nullify Trunks's damage reduction skill, and greatly increase the demage dealt on him! Stage 1 "A New Hope" on player will face 3boss. Stage 1 "A New Hope" on player will face 5boss. Battle against the frightening evolved emperor! Stage 1 "Emperor's Obsession" is only available on Z-HARD and SUPER. The boss of the final round of the battle in Stage 1 "Emperor's Obsession" on SUPER can only be taken down with a Super Attack. Stage 1 "Emperor's Obssion" on player will face 6boss. Stage 1 "Emperor's Obssion" on player will face 8boss. Come and challenge the most dreadful Majin Buu! Stage 1: "Majin's Transformation" is available on . Clear the stage for a chance to earn Z-Awakenend SSR Majin Buu(Ultimatae Gohan)! Stage 2: "Horrendous Majin's Onslaught" is only available on . In Stage 2, Majin Buu will launch ceaseless attacks once the battle starts. Yet,with Goku and Vegeta being absorbed, Majin Buu will get weaker and weaker! Survive his furious onslaught and wait for the right tieme to counter attack. Clear stage for a chance to earn Awakening Medal "Majin Buu (Ultimate Gohan)"! Stage 1: "Majin's Transformation" . Stage 2: "Horrendous Majin's Onslaught" . 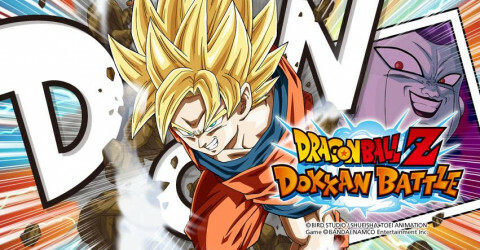 Come and challenge Super Saiyan God SS Goku to earn as many Awakening Medals as you can! There are 2 difficulty in this stage . 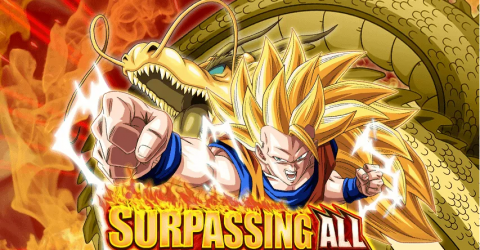 Clear the stage to earn the exclusive Awakening Medal "Super Saiyan God SS Goku"! 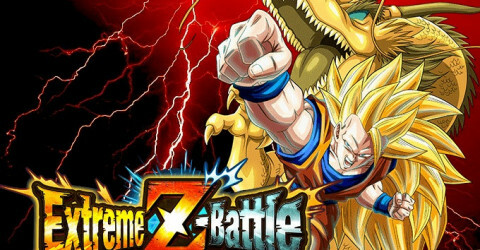 Fight a series of hornorable battles against Goku! Give it your all and victory will be yours! Stage 1: Ceaseless Combat on player will face 3boss. Stage 1: Ceaseless Combat on player will face 4 boss. The peerless hero has arrived! Take on this hero whose power has been gratly reinforced! There are 3 stages in this event. Stage 1: Fusion of Hope is available on . Clear the stage on to get Z-Sword and other rare items! Stage 2: Super Gotenks is only available on . Clear the stage and get the exclusive Awakening Medal "Super Saiyan 3 Gotenks"! Previal in the battle to get as many Awakening Medals as you can! Stage 3: One Powerful Super Fusion is only available on . Clear stage 3 to get the Awakening Medal "Super Saiyan 3 Gotenks"! The charged up Gotenks can also reduce the recieved damage. Make Sure to be on your guard. Stage 1: Fusion of Hope . Stage 2: Super Gotenks! . Stage 3: One Powerful Super Fusion! Challenge Super Vegito and earn as many Awakening Medals as you can! Stage 1: "Miraculous Fusion" is available on . Clear stage on to get Z-SWORD and rare items! Stage 2: "Meet Vegito" is only available on . Clear Stage on and get the exclusive Awakening Medal "Super Vegito"! 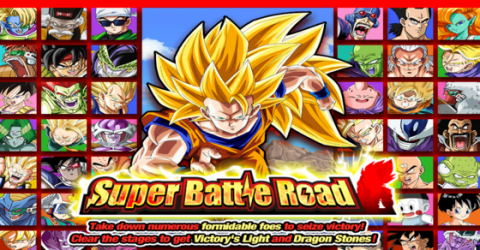 In Stage 2, you have to fight successively against Goku & Vegeta, Vegito, and Super Vegita! 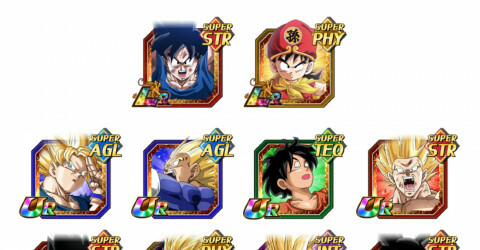 Super Vegito will use the skill "Barrier" which can reduce recieved damage! Dominate this battle to earn as many Awakening Medals as you can! Stage 1: "Miraculous Fusion" . 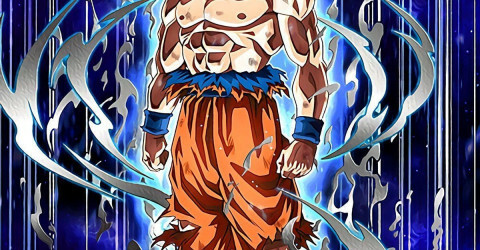 Stage 2: "Meet Vegito" . Come and face the trial from Beerus, the God of Destruction! Stage 1: "God of Destuction's Whim" is available on . Clear to get Z-Sword and other rare items! Stage 2: "God of Destruction's Wrath" is only available on . 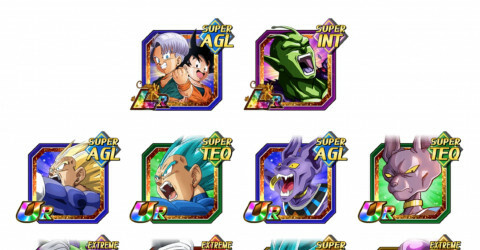 Clear to get the exclusive Awakening Medal "Beerus"! As long as Beerus recieves damag, his Fury Gauge will increase! Once his Fury Gauge gets full, his fury will explode and his power will be greatly agumented! But after his fury is over he will be exhausted and then fall asleep. THis will be a great moment to give him a critical blow! Be attentive to his mood to get the upper hand in the battle! Stage 1: "God of Destuction's Whim"
Stage 2: "God of Destruction's Wrath"
Prepare for the challenge Super Saiyan 3 Vegeta poses! 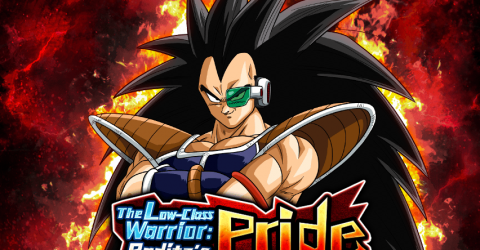 Stage 1: "Saiyan's Pride" is available on . 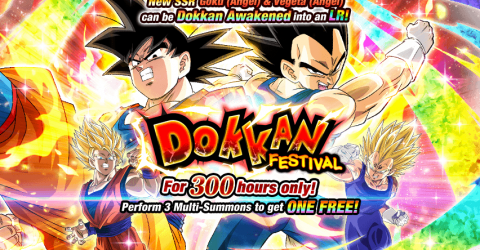 Clear and you'll have a chance to obtain Super Saian Vegeta! Stage 2: "The Most Powerful Blow" is only available on . 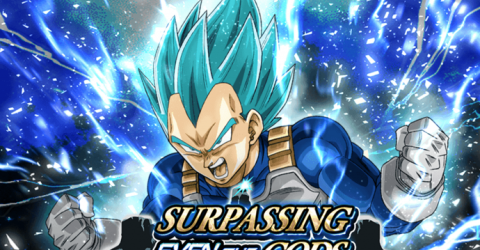 Clear to earn the exclusive "Super Saiyan 3 Vegeta" Awakening Medal! 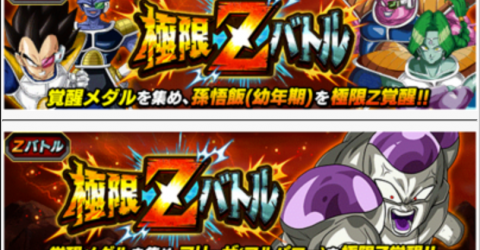 Super Saiyan 3 Begeta will unleash a on-hit kill Super Attack if not defeated whithin the attack limit! If you are defeated by Super Saiyan 3 Vegeta's on-hit kill Super Attack, you can't use Dragon Stones to continue playing the stage. Your total number of attacks is limited to 18. Each character's attacks will be counted. Stage 2: "The Most Powerful Blow"
There are 3 stage in this event. Stage 1: "Unawakened Ability" is available on . Clear for a chance to get Z-Sword or other rare items! Stage 2: "The Extreme Force" is only available on . Stage 3: "The Ultimate Form" is only available on . In Stage 3, Ultimate GOhan will use the skills "Ultimate Awakening" "True Power" and "Energy Eruption"! Ultimate Gohan will be and extremely tough opponent if you don't fight against him with the team formed by characters who can nultify his skills! Stage 1: "Unawakened Ability" . Stage 2: "The extreme force" . Stage 3: "The Ultimate Gohan Form" . The extremely chalenging event begins now! Come and challenge Frieza, the evil emperor of the universe! Stage 1: "Fear Beyond Death" is available on . 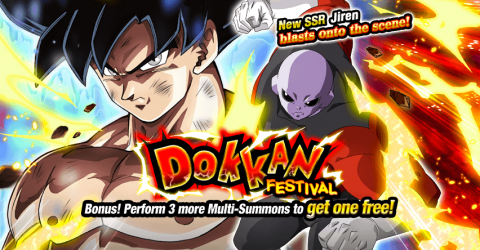 Clear for a chance to get SR Frieza(1st Form)! Beware of Frieza's Skill "Coercion", which bars you from changing allies' attack order! 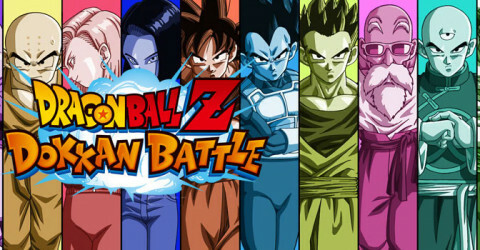 Stage 2: "Full-Powered Final Battle is only available on . Clear to earn the exclusive Medal "Goku"! Frieza will not only revent you from changing attack rder with his skill "Coercion", but unleash an ultra Super Attack dealing massive damage at the end of the countdown! But that's not all! Only a Super Attack can take down Frieza (Full Power)! Stage 1: "Fear Beyond Death" . Level 2: "Full-Power Final Battle" . The extremely difficult event is not available! Come and see how you will fare against the vicious Super Janemba! There 3 stages in this event. Stage 1: "Innocent Monstrosity" is available on . Clear to get the support items of high rarity! Stage 2: "Demon of War" is only available on . Clear to obtain the exclusive Awakening Medal "Super Janemba"! Super Janemba will mess up your Ki Spheres! Stage 3: "Overwhelming Force of Evil" is only availabe on . In Stage 3, Janemba will randomize KiSpheres! Also, Super Janemba will come at you with his astoishing evasion ability! You'll have to keep attacking to stand a chance! Stage 2: "Demon of War"
Stage 3: "Overwhelming Force of Evil" . Take on SUPER 2 difficulty! End the battle with all you've got! Stage 1: "An Incredible Failure" is available on . Clear for a chance to get Veku [SR]! Stage 2: "Peerless Warrior's Victory" is only availabe on . Clear to earn the exclusive Awakening Medal "Super Gogeta"! 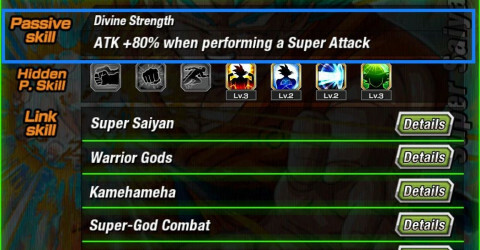 Super Gogeta has high ATK and attacks mutiple times! Stage 3: Fusion Reborn!" is only availabe on . The strongest warrior of West Quadrant, Paikhuan, will show up in stage 3! 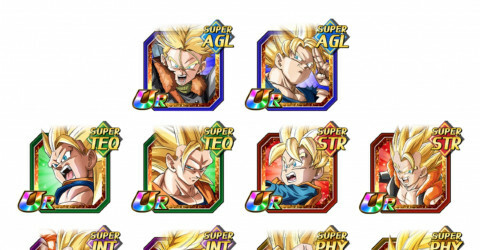 With the miraculous power that comes with the miraculous power that comes with successful fusion, Super Gogeta won't be sunned and you won't be able to seal his Super Attack! Stage 1: "An Incredible Failure" . Stage 2: "Peerless Warrior's Victory" . Stage 3: "Fusion Reborn!" . There 2 stages in this event. Clearn for AGL and TEQ Awakening Medals & Training Items! Stage 2: "Ultimate Finishing Move" is only available on . Clearn to earn the exclusive "Four-Star Ball" Awakening Medal! Super Saiyan 3 Goku will bring out a one-hit kill Dragon Fist if not defeated within the attack limit! Stage 2: "Ultimate Finishing Move" . Challenge the rampaging Majin Buu! 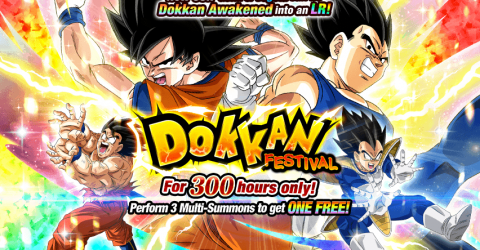 Clear for a chance to win Majun Buu (Good) [SR]! Stage 2: "Never-Ending Nightmare" is only available on . 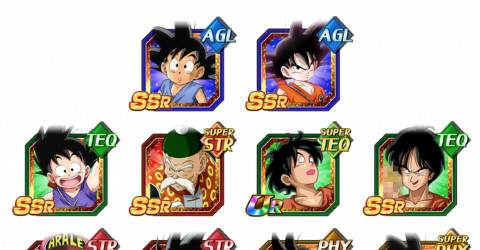 Clear to get the exclusive Awakening Medal "Goku|! Majin Buu can turn Ki Spheres into Candy and transform! Stage 3: "Regression to Evil" . In addition to turning Ki Spheres into Candy, the Buu in Stage 3 will return to Buu (Kid) and unleash Super Attacks mercilessly in attempts to wipe on Earth ! Use Support Items or Super Attacks wisely to defend against his Super Attacks! Stage 3: "Regression to Evil"
Game Over... I'll end this in no time! Stage 1: "The Cell Game" is available on . Defeat Cell (Perfect Form) for a chance to earn [SR] Cell (1st Form)! Stage 2: "The Extreme Terror" is only availabe on . Defeat Perfect Cell to earn the exclusive Medal "Goku" for Awakening Cell! Beware of Perect Cell's recovery skill "Regeneration" and multiple attacks in one turn! Stage 3: "Waking Nightmare" is only available on . Stage 3 is a battle of 3 combats in a roll against Cell Jr.Army and Perfect Cell! Stage 1: "The Cell Games"
Stage 2: "The Extreme Terror"
Stage 1: "Prologue to Ruin" is available on . 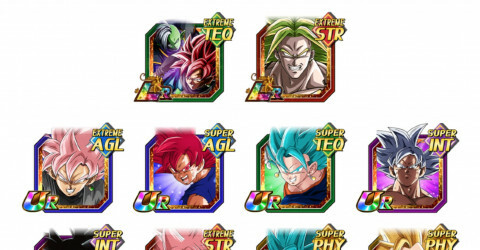 Clear for a chance to get [SR] Broly! Stage 2: "Awakening Beyond" is ony available on . Defeat Legendary Super Saiyan Broly for a chance to obtain the exclusive Medal "Kakarot" to Dokkan Awaken Broly! Beware of Legendary Super Saiyan Broly'stat-boosting skill "Rampage"! Stage 3: "The Demon Returns" is only available on . Fight against the might enemy, Super Saiyan Broly, for 3rounds in a row in stage 3! 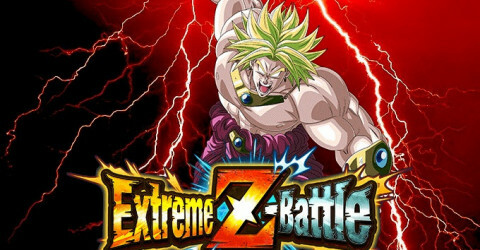 Legendary Super Saiyan Broly will use the skill "Rampage" to intensify himself in the battle! Domintae the battle to earn as many exclusive Awakening Medals as you can! Stage 1: "Prolougue to Ruin"